Recently Charles Cohen, the CEO of mobile games and services provider Probability, gave an interview in which he explained why he is optimistic about growth in the UK and global mobile markets. Probability’s latest financial update showed that it had a 35% increase in net gaming revenues in Q2 up to £2.3 million. Deposits were also up 44% compared to the same period last year. 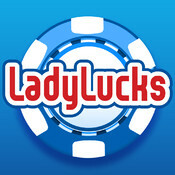 At present Probability offers 30 games and in the last five months the game LadyLuck has been downloaded more than 40,000 from the Apple Store. The company is now hoping to expand itself to the Italian market within the next year and is also considering other European countries such as Sweden, France, Germany and Spain.